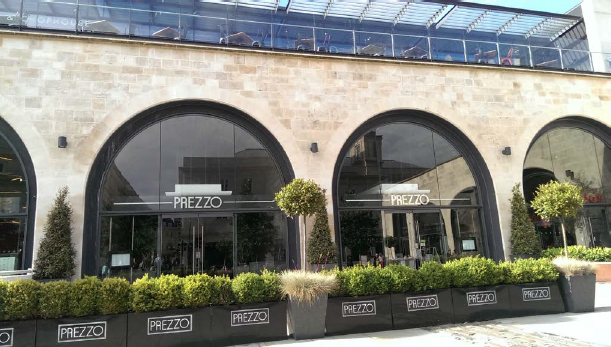 Prezzo in Brunel Square has made a retrospective application for a condenser unit currently situated to the rear of the premises within Bath Spa Railway Station which is a Grade II Listed Building, a heritage gem by Brunel. This area got a beautiful face lift that won prizes, but the bit round the back, in clear view from some of the properties on St Mark’s Road, has been turned into an ugly, smelly service yard. 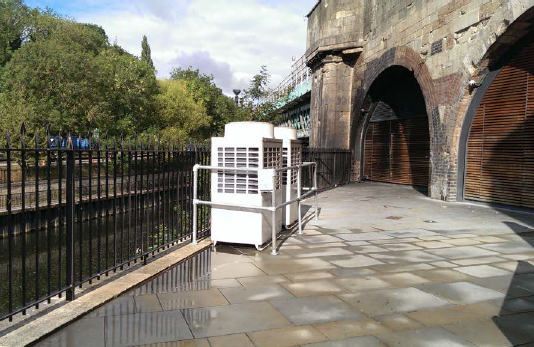 The objection in planning terms is that the unit should not be placed in a Grade II Listed area and need to be better camouflaged by greenery according to business regulations, along with the whole service yard. Prezzo’s application claims that they are already camouflaged, but this is not the case! The other unit is used by Gourmet Burger Kitchen. At this point we residents have a chance to object and ask that you show some support. The application can be viewed HERE on the Bath & North East Somerset Council website. We are also concerned with the annoying smells which appear to be coming from the restaurants on Brunel Square next to Bath Spa Station. Oily, smelly extract is currently being vented from a tiny horizontal pipe only 7 foot above the arch which is far too low to comply with building regulations. This extracts oily smoke and fumes directly over the river towards St Mark’s Road, Holloway and the Widcombe area. As a general guideline, all emissions to air from a restaurant should not give rise to an air pollution problem, including odour nuisance, and should be free from visible fume. Anyone using the arches especially those with the bike racks in, will be aware of the stink. Unfortunately those of us living on the north side of St Mark’s Road are the closet to the extract and have an almost constant burger/BBQ smell wafting over into our houses and gardens. The smell from the Smokehouse BBQ restaurant is particularly noticeable here. We hope to get them to vent the fumes up higher and also to plant more trees or greenery to hide the condenser units if they cannot be moved.